FairWinds Antique Maps - Item # SW1576: West India Islands. Martinico. Dominica. West India Islands. Martinico. Dominica. 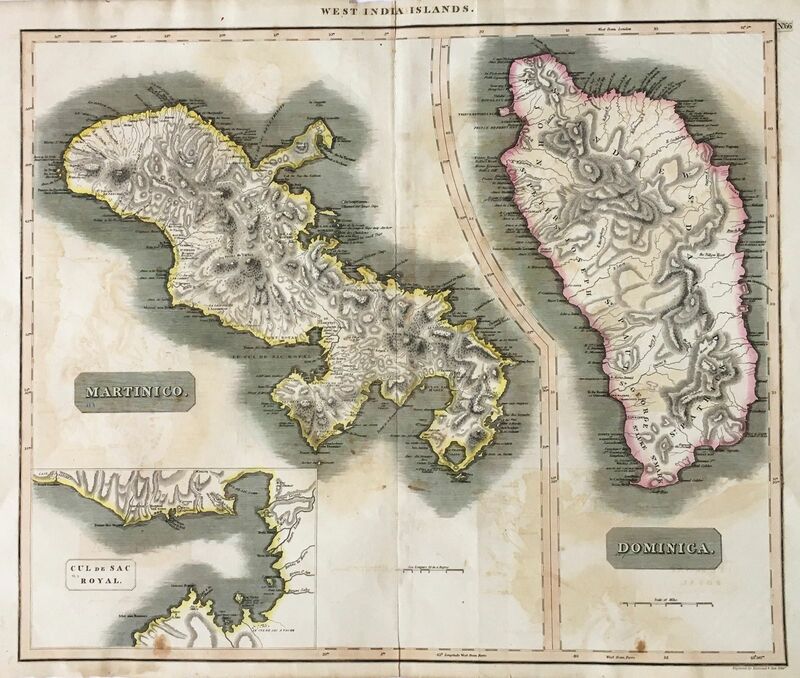 Two islands on one sheet, from Thomson's New General Atlas, both with dramatic topography and numerous place names. The Martinique map includes an inset of the "Cul de Sac Royal," or Fort Royal bay. Size: 23" x 19 1/2"